Could you provide more information about this 2004 Yamaha Vino 50 Classic? Siegfried's Motorwerx is proud to offer this 2004 Yamaha VINO 50cc 2 stoke for sale to our customers. This model is highly acclaimed for the year of production and is rated in the top 3 of all 50cc scooters produced for 2004! Yamaha hit it out of the park when they created the Vino line. With classic inspired styling and the same unbeatable powerplant featured on the Zuma platforom, the Vino scooters make a great addition to any garage! This scooter has ONLY 11 ORIGINAL MILES on it! This scooter is fully serviced and ready to ride. Featuring a 2 stroke 49cc powerplant and CVT automatic transmission this scooter will bring countless miles of reliable and fun transportation to its new owner. Owning a 2 stroke scooter has never been easier, with Yamaha's oil injection system you simply fill the oil tank and the scooter will do the rest of the work for you! The front windshield is in excellent condition. The paint is in great shape and condition. No dings are visible on this vehicle. This vehicle comes with a new set of tires. The interior was well maintained and is extra clean. The exterior was well maintained and is extra clean. The engine is functioning properly and has no issues. This vehicle has no previous collision damage. The transmission shifts very smoothly. The brakes are in great condition. The battery is in excellent condition. The car was previously owned by a non smoker. This vehicle had one previous owner. 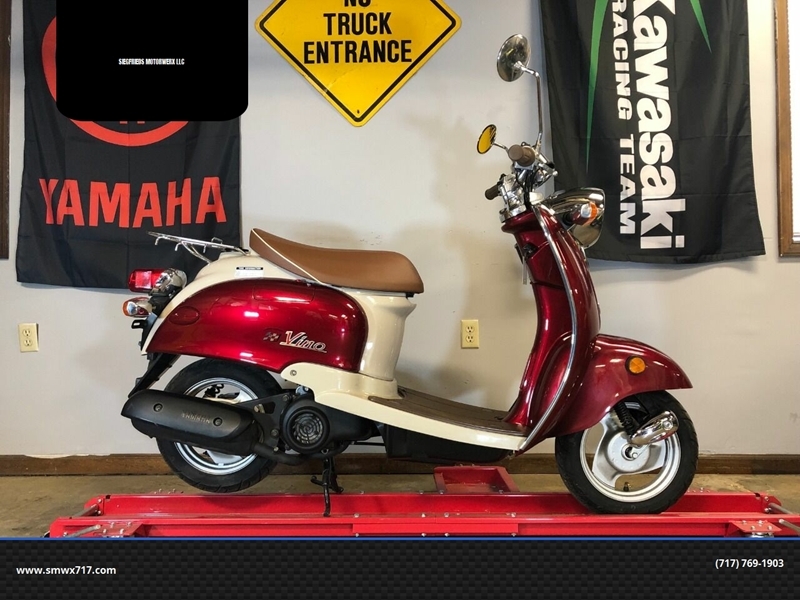 What is the price of the 2004 Yamaha Vino 50 Classic you have in your inventory? What is the mileage of the 2004 Yamaha Vino 50 Classic you have in your inventory? I was wondering if this 2004 Yamaha Vino 50 Classic is still available?